I know I am not a writer but If Ever a book is published by me it will be about my dreams and my inner thoughts echoed in Life. This picture was taken in Summer 2013 at the Tulips festival at Skagit valley in Washington. 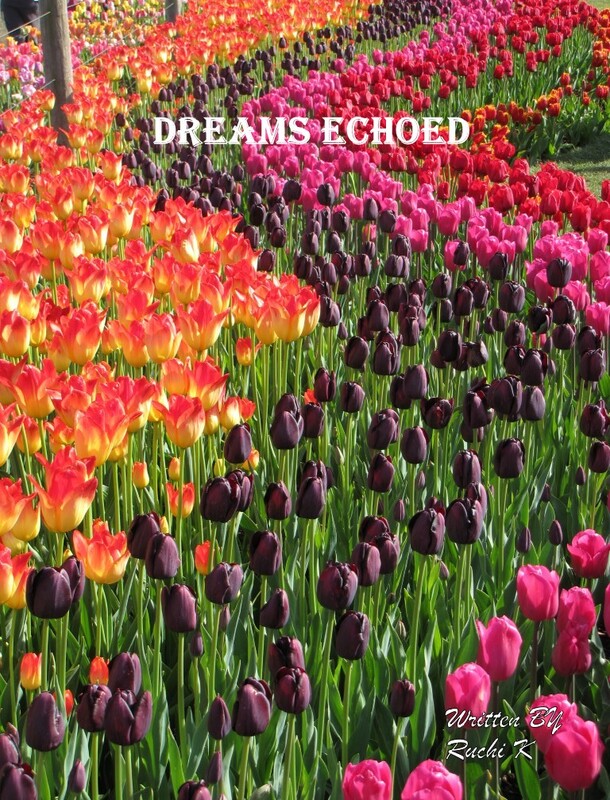 Lovely colorful tulips…that would make a great cover page for sure ! Thanks You! Even I loved taking pictures of these tulips. I am not sure why these are not showing in your reader. You may want to check the settings. So glad you made it to the Tulip Festival. I’d buy that book! I often chose books from the look of the cover. It would be interesting to study what makes person pick a book off the shelf.